Sheriff Ed Stern spoke to the Rotary Club of Houghton Lake recently about the "Secret Santa: Turkeys Instead of Tickets" program. that provides turkeys, gift cards, and toys instead of a ticket to random motorists pulled over for minor traffic violations. 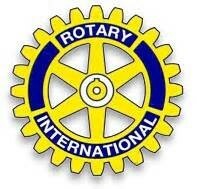 This is the third year of the program that also received support from the Rotary Club of Roscommon, The Roscommon County Sheriff, and the Houghton Lake Walmart. 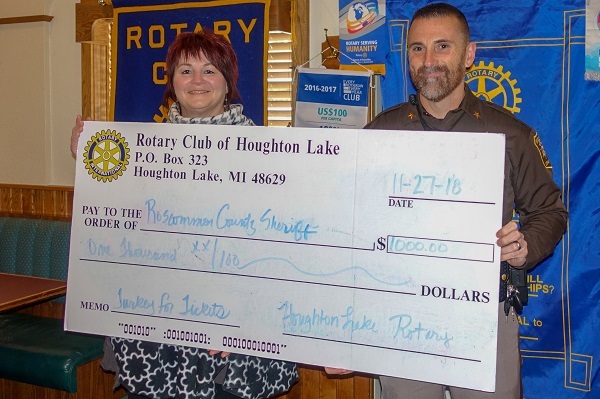 Rotary Club of Houghton Lake President Denise Stefanko presented Sheriff Stern a $1,000.00 grant in support of the program.